Again, Princess Peach is in danger and, as always will be commissioned to save Mario Bros. Today we provide you with the online version of Super Mario 63 for you to enjoy the most famous Nintendo hero. 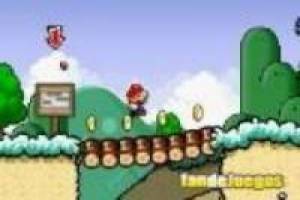 Through the levels collecting coins and other gadgets that you'll require in each level and reach the beloved princess Mario. Beware of enemies that will make it harder your way and they will try to kill you so you have to restart the game and do not achieve your goal. Jump over them or make a pirouette to kill and continue on your way to victory. Enjoy now this new adventure of Mario Bros with us and shows no game this plumber who stands in your way. 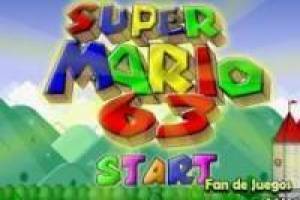 Enjoy the game Super Mario 63, it's free, it's one of our Mario bros games we've selected.